Perfect little bike to start pedalling! 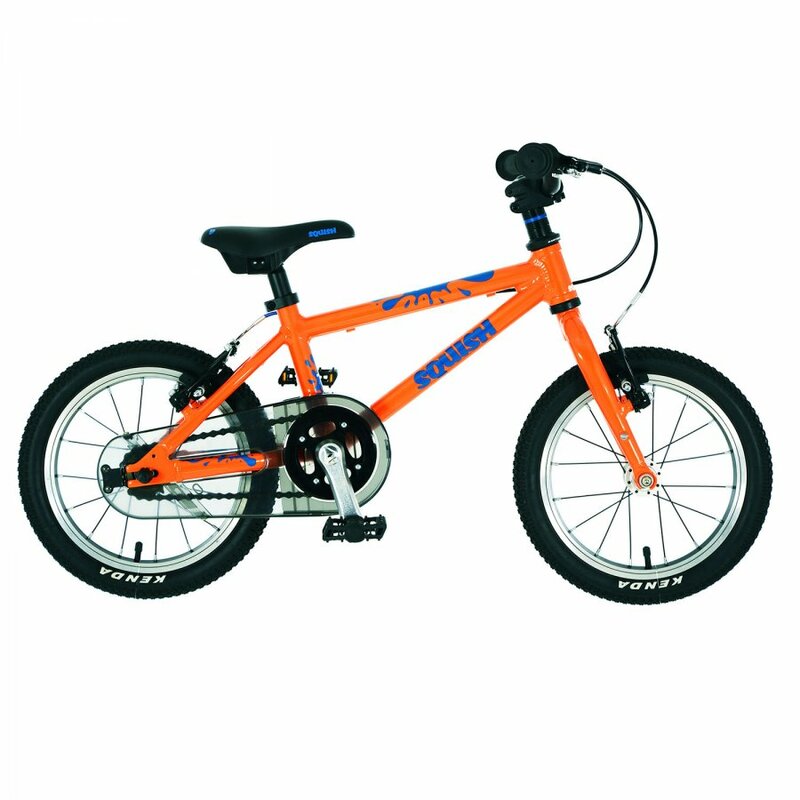 14″ Wheels with 8″ Frame, ideal for children 3 years and above. Super lightweight, triple butted alloy frame. Shortened crank arms and stem to fit young children much better. Junior Specific V-Brakes. Funky, co-branded Selle Royal/Squish Saddle. CNC braking surface on rims for added power and durability. Fully enclosed chainguard to keep clothes (and curious fingers!) protected. Complete weight just 5.8kg.